Remote destination air transport is transport of cargo and people to places where there is no ground and air support services for the aircraft and handling of cargo. 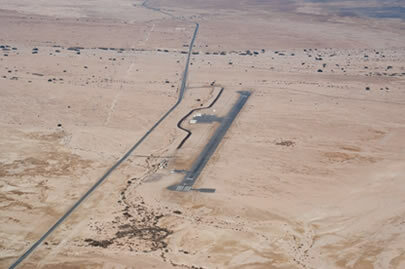 SOVAIR offers delivery of cargo and passengers to remote, gravel, even not serviced airfields and airstrips provided permissions have been obtained and conditions are within the capability of the unique aircrafts that we use. Our aircrafts can land and load/offload where others cannot. For example side-door loading aircraft require additional cargo loading equipment such as a high-loader, without this specialised equipment a side-door aircraft would find it very hard or impossible to load/offload cargo. SOVAIR on the other hand can pick from a variety of tail-door loading aircraft to suite our customers specific needs. A tail-door aircraft enables very easy (with very limited equipment required) loading and offloading. In Africa there are a lot of Remote Destination airports and we have information on these airstrips and have usually operated into them. We can brief the client on the airport and the services available at the airport. We are able to operate easily into remote airports where the country requires aid during a flood etc. Our aircrafts can operate in tough terrain and we can get to the centres where the aid is urgently required. Mining in Africa is often in remote areas and we can service these remote areas and our planning department is able to arrange these flights on very short notice.